In the social media marketing roundup of this week, I’ve included blog posts about Twitter, Facebook, Instagram. I’ve also included some miscellaneous posts which help you to develop you overall social media strategy. Instagram has added some features in their platform keeping security & privacy of users in mind. When crafting a marketing strategy, data is your best friend. 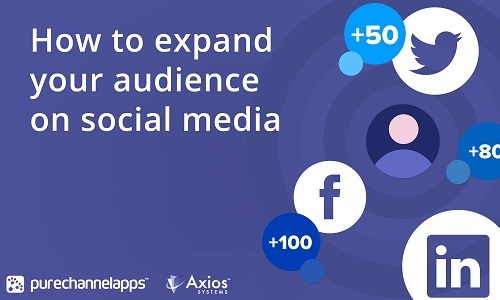 Knowing exactly who is using a particular social network—and what they’re looking for when they do—is key to creating a social presence that creates engagement, brand awareness, and even sales. Here, we dig deep to uncover all of the most important Twitter statistics for social media marketers, so you can plan and execute a Twitter marketing plan that works for your brand. Twitter’s iOS app experienced a subtle but important change Friday — the old style of replies, which required placing the “@” character in front of the username of the person you’re replying to, was briefly gone, and replaced with the text “replying to” above the tweet. Twitter quickly reverted the change, explaining on its Support account that it was an “experiment” which “accidentally” went out to all iOS users. Digital branding through Twitter automated replies may seem counter-productive. Having a response message in your Twitter inbox shortly after following a Twitter account has become commonplace to the average user. Although this automation is effective, some users may find it annoying when sifting through their inbox looking for authentic “hand-written” messages. The platform has over 500 million active users per month. It’s one of my favorite platforms for my fashion blog Shortofheight because of its visual appeal. To date, I have over 60,000 followers for Shortofheight on Instagram. Look at companies like Kapten & Son. They are dominating Instagram for their business with over 450,000 followers. Since the beginning of Instagram, we have focused on making it a welcoming place for everyone. In September, I shared our commitment to keeping Instagram a positive place for self-expression. I’d like to tell you about a few more tools we’re launching to keep people safe. Comments are where the majority of conversation happens on Instagram. While comments are largely positive, they’re not always kind or welcome. Previously, we launched the ability to filter comments based on keywords. This was an important step in giving you more control over your comments experience. However, there are two more features we think will improve this experience. Some people on Instagram choose to have private accounts, which means they approve each follower. This is an important way for people to feel comfortable sharing with close friends and family. Finally, we want to continue to be a place where people can share deeply personal moments. From time to time, you may see friends struggling and in need of support. You don’t need a film degree to make an excellent social media video these days. Marketers with untrained eyes are creating great social video content with little more than a smartphone. And people are watching. Facebook and Snapchat have both surpassed 8 billion daily video views and YouTube’s 1 billion-plus users are watching hundreds of millions of hours of online video every day. This trend is expected to continue and there are an abundance of statistics to back that up. Experts predict that 74 percent of all internet traffic in 2017 will come from video and you can bet your competitors are already leveraging this powerful form of content. A 2016 survey by the Web Marketing Video Council found that 61 percent of businesses are using video as a marketing tool. In the previous year, 66 percent of those businesses were not using video at all. Influencer marketing involves a lot of listening, planning and experimenting. These tools will help you set up a social media campaign allowing to better find, monitor and approach influencers. One important word of caution though: Social media influencers should be tackled with huge care. Remember each of those people has a dedicated online audience: If you appear too spammy, they have eager ears to describe their bad experience to. An influencer media campaign can thus turn into an online reputation crisis. Social media, there’s no denying, can be (when done correctly) a very effective method for reaching a wider audience. But how can you ensure you’re taking full advantage and are using the right platforms and methods to drive the best results? I was recently joined with Ian Moyse, a well-known Sales Leader who has a huge social media presence, being rated 2016 and 15’s #1 social influencer on cloud, and #1 on ITSM , featured in many social selling leaders reports and has even advised many businesses on how to play the social media game. Here, Ian shared his tips on how to expand your social media presence. To make sure your social marketing efforts are paying off, you need to measure their impact. These tasks are much easier to do using a tool like Cyfe, which is one of the best social media dashboards for managing a campaign. Cyfe gives you details about the likes, views and clicks received by your Facebook content and provides in-depth Twitter and LinkedIn analytics. It also helps you to evaluate the routine of your social campaign. A recent study by Demand Gen Report shows 73 percent of B2B buyers have less time to devote to research than they did a year ago. Considering the breakneck pace of the business world, it’s not exactly a surprise. Many of these same buyers tend to favor companies that demonstrate “a stronger knowledge of our company and its needs,” Demand Gen Report noted in another study. Buyers would love to research and find the vendor that perfectly understands their companies needs and specific industries — they just don’t have the time to do it. 2016 was a big year for social media. From Facebook’s big push into live video, to Instagram muscling in on Snapchat’s stories format, the tussle between social networks has been fierce as each platform battles for a share of attention. We’ve also seen social media affect globally significant events like the “Brexit” referendum in the UK and the US Presidential Election, as politicians wise up to the impact social networks can have on public opinion. Overall, we’re now spending almost 2 hours a day on social media – or about 15% of our time awake. So what will 2017 bring and what social media trends do businesses need to be aware of next year? That’s the question we posed to some of the biggest names in the social media world including Rand Fishkin, Michael Stelzner, Marsha Collier, Ian Cleary and many more. Here are 8 trends they expect to see next year. Do you have any idea how massive the internet is today? Yes… that is a massive amount of content, however, we still haven’t even talked about social media yet! Do you use Facebook ads to promote your physical store or event? Want to know if your ads are driving foot traffic? Facebook now lets you track in-store or live event visits that occur after people see or engage with your Facebook ads. 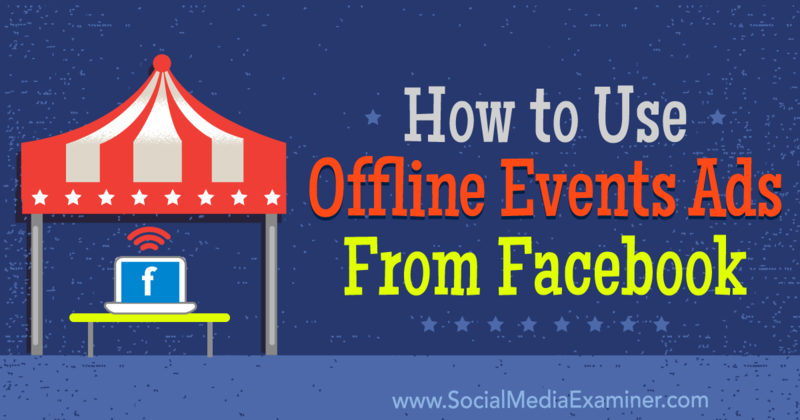 In this article, you’ll discover how to track conversions on Facebook ads for offline events. After all of the changes LinkedIn has made to groups, it’s no wonder LinkedIn users and social selling experts are questioning the value of LinkedIn groups for sales and marketing programs. It makes you wonder if LinkedIn groups will experience the same fate as Google+ Communities, deserted after members go elsewhere for relevant discussions and cutting-edge content? What happened to LinkedIn groups? LinkedIn groups began as forums centered around communities asking and answering insightful questions to learn from each other. 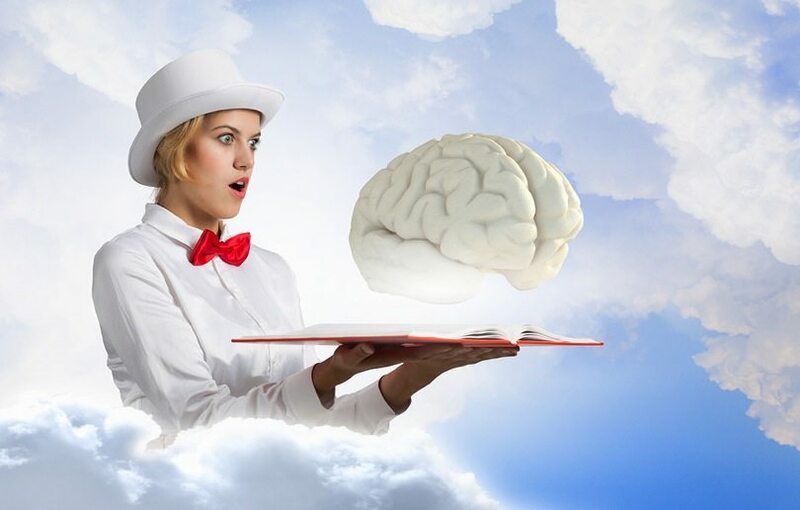 With the rise of content marketing, many zealous marketers began clogging the discussions stream with self-promotional links to landing pages, white papers, and webinars. Unmoderated groups morphed into spammy blog feeds with real discussions being buried. On the other hand, the best LinkedIn groups discovered how to moderate discussions, minimize spam, and foster on-topic discussions among members. Have you considered live video via Periscope? Broadcasting live on Periscope lets you build meaningful relationships with your customers and prospects. 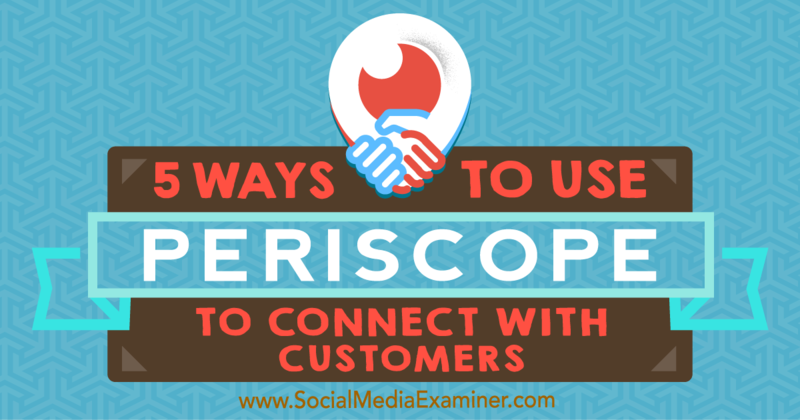 In this article, you’ll discover five ways to use Periscope to improve customer engagement. Pinterest is one of the fastest growing social media communities out there today. The website was founded in 2010, and according to the team, it has 100 million monthly users already. This steep growth has made Pinterest one of the top ten social media websites in the US,in the midst of other giants such as Facebook and Twitter. Due to the growing popularity, a lot of businesses are showing interest in Pinterest. According to current statistics, around 60% of all major brands have Pinterest accounts that they use frequently. Snapchat is on the rise, and businesses are starting to join the network to connect with a younger demographic. Snapchat can be a little intimidating at first, but it is an excellent network for building visibility and adding value to your customer. 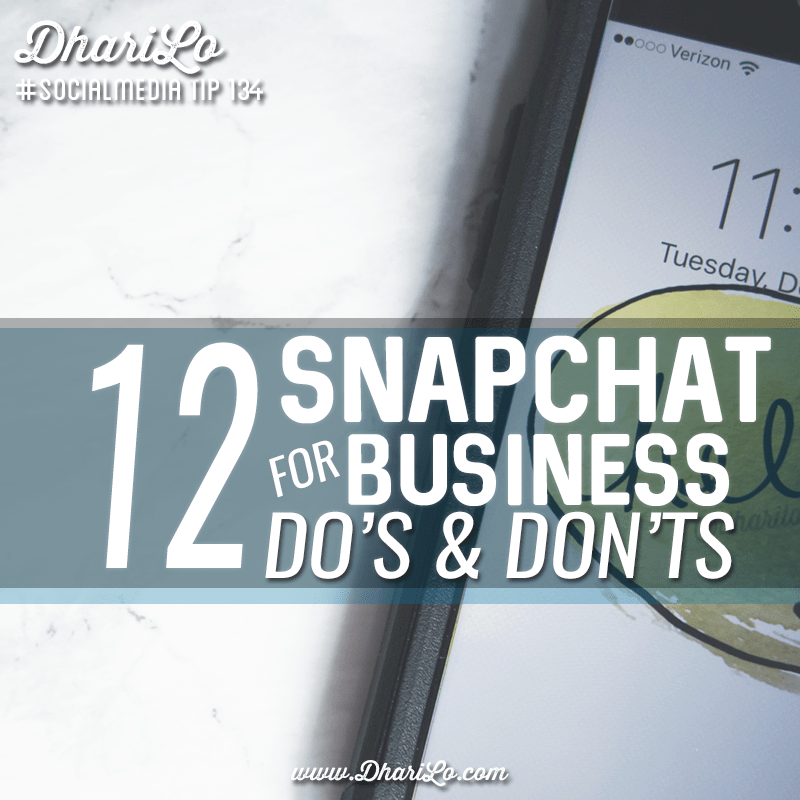 In this post I’ll review some basic Snapchat for business do’s and don’ts. Snapchat is all about telling a story. A string of moments that can be used to let your fans in and get to know your business. It’s about engaging your audience in small snippets instead of longer form content. So let me help you sort this all out. If you like my Social Media Marketing weekly Roundup, please do let us know in comments. Anurag Mehra is a Social Media Expert & a Growth Hacker who believes learning never stops. His "Social Media Marketing RoundUp" series is featured in "10 Best Social Media Roundup Blogs of 2016".